Please refer to the 2018-19 calendar when planning trips and appointments with your student. Thank you! Come support Rocklin Academy Turnstone at Skipolini's Pizza & Pasta! 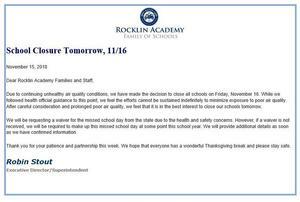 Bring the attached flier with you to ensure Rocklin Academy Turnstone is getting full credit for your purchase.